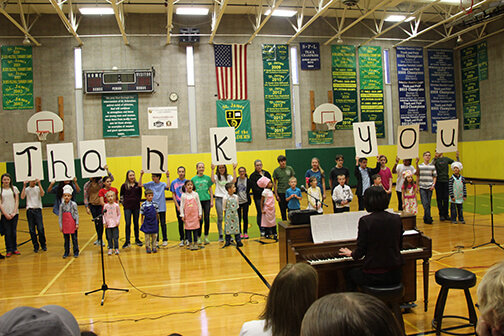 On October 26th, St. James celebrated “Bring Your Parent to School Day”. We started the day celebrating with an all school Mass. Students were able to sit with their parents. 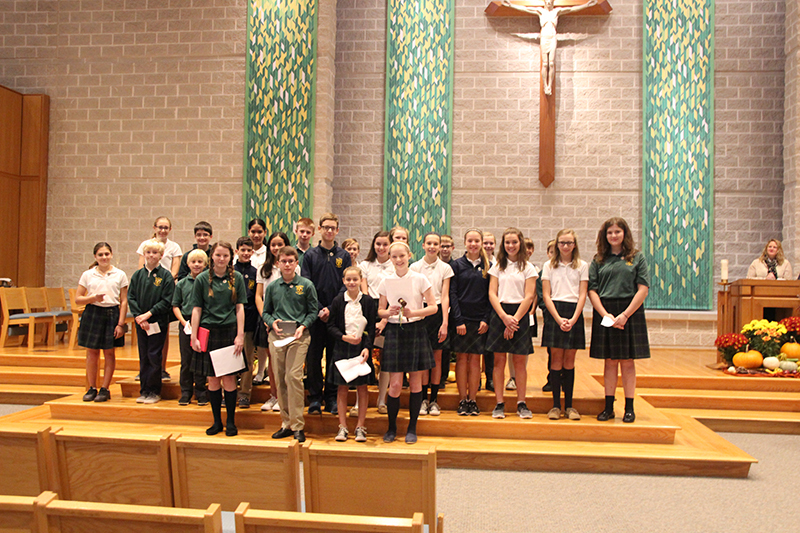 After Mass, members of the Student Council were recognized for their outstanding work. The day continued with a parent social and classroom visits. As a parent, it was enjoyable to get a first hand look into the classroom and experience daily life at St. James. The students then wrapped up the morning by putting on show with each class singing a song like “Carwash”, “Is There a Doctor in the House”, “We’re the Future” and more. A variety of parents were asked to share about why they loved their job. The students learned about what it was like to be a Fighter Pilot, a Veterinarian, a Periodontist, a Attorney and a Police Officer. Thank you to all of the many parents where were able to get away from their busy schedule and share the morning with us.